30-Day Contacts - A Smart Alternative to LASIK? 30-Day Contact Lenses: A Smart Alternative To LASIK? Are you tired of wearing eyeglasses or putting up with the daily hassle of removing, cleaning and disinfecting your contact lenses? One option is LASIK surgery. But if you're not keen on the idea of having eye surgery or you are too young for the procedure (you must be 18 or older for LASIK), there's a non-surgical alternative: continuous wear contact lenses. for up to 30 consecutive days of continuous day-and-night wear without removal. Like LASIK, extended wear contact lenses offer hassle-free good vision. So let's consider the relative merits of each option in terms of safety, effectiveness and cost. Continuous wear contact lenses and laser eye surgery are safe for the overwhelming majority of patients, but each carries some risk. Wearing contact lenses increases your risk of eye infection, and this risk increases significantly if you wear your contacts when sleeping. For laser eye surgery, the primary risks are dry eye syndrome and visual disturbances such as glare and halos. Continuous wear contacts. Extended wear contact lenses first became available in the U.S. in the 1980s. However, many people who wore their lenses continuously without removal for 30 days in a row began to experience eye infections. Within a few years, the FDA reduced the approved continuous wearing time for extended wear lenses to a maximum of one week. So what's different now? In the late 1990s, a new contact lens material — silicone hydrogel — was introduced. Silicone hydrogel contact lenses allow up to five times more oxygen to reach the cornea to keep it healthy, compared with regular soft contact lenses. Today, several lens manufacturers offer silicone hydrogel lenses that have been FDA-approved for up to 30 days of continuous wear. Still, overnight wear of contacts isn't for everyone. And people who have had previous problems with contacts may not be good candidates for 30-day wear. Laser vision correction. According to the findings of a recent worldwide literature review, more than 95 percent of people who chose to undergo laser vision correction were satisfied with their outcome and few experienced significant LASIK complications. In addition, screening tools and techniques have improved, enabling surgeons to more easily identify LASIK candidates who might be more likely to experience post-surgical problems. However, nighttime glare and dryness remain a problem for some patients, at least for the first few months after surgery. Both 30-day contacts and LASIK can produce excellent vision quality for the right candidates. But what happens if your vision changes over time? Continuous wear lenses. With 30-day contact lenses, you can find out almost immediately how sharp your vision will be. If you'd rather have no doubt whatsoever about your visual outcome, you are probably a better candidate for extended wear contacts than laser vision correction. years can switch to bifocal contact lenses, or they can use reading glasses in combination with their contact lenses. Laser vision correction. Because of advances in laser vision correction technology and increased experience among refractive surgeons, the visual acuity experienced by LASIK patients is statistically better than ever. Most patients achieve 20/20 acuity or better, according to many studies. However, a small percentage of LASIK patients may see some change in their vision over time. This change may require them to wear eyeglasses on a part-time basis for certain activities (e.g. driving at night). In some cases, the change in vision may be significant enough that a second LASIK surgery (LASIK enhancement) may be necessary. Also, LASIK can't completely fix presbyopia, though a monovision procedure or other presbyopia surgery can help. So if you've had LASIK, at some point after age 40 you still may need reading glasses to see clearly up close — though in some cases LASIK may be able to improve your reading vision. Continuous wear contacts. A 12-month supply of continuous wear contacts will typically cost $250 to $300. An advantage of 30-day lens wear is that you almost eliminate the cost of lens care solutions. However, you should still keep a multi-purpose contact lens solution handy in case your lenses get dry or dirty and you need to remove them prior to the end of your normal 30-day wearing period. But keep in mind that your total cost for contact lenses depends on how many years you wear them. Using an average annual cost of $275 per year for 30-day lenses, if you wear contacts for 30 years (age 20 to 50, for example), your total lifetime contact lens cost is more than $8,000 — which is significantly greater than the cost of LASIK surgery. Laser vision correction. The average cost of LASIK eye surgery in 2014 was approximately $2,100 per eye. Most surgeons offer LASIK financing with monthly payments to make the procedure affordable to a larger patient population. It's important to note that you don't eliminate your need for eye care and eyewear with laser vision correction. You still need routine eye exams to check for vision changes or symptoms of eye disease, and you should purchase at least one pair of nonprescription sunglasses that block 100 percent of the sun's UV rays. You should also purchase artificial tears for occasional dry eye symptoms and buy at least one pair of safety glasses to protect your eyes when playing sports or engaging in other potentially hazardous activities after LASIK surgery. 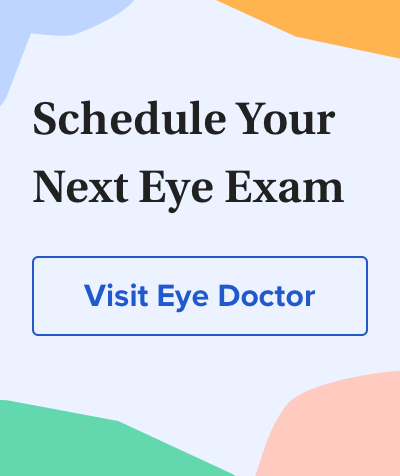 Before you make your final decision, get the unbiased advice of an eye doctor who is open to both 30-day contacts and laser vision correction. If the doctor says you're a good candidate for both, the choice comes down to personal preference. What is your tolerance for risk? Both 30-day contacts and LASIK surgery carry some degree of risk, but the rate of serious complications is very low for both. Still, if you want to avoid all potential risks associated with these vision correction options, wearing eyeglasses is your safest choice. How much convenience are you looking for? If even a once-a-month contact lens routine is too much trouble, you might prefer LASIK. How important is flexibility? A contact lens prescription can easily be changed in the future to adapt to your changing vision needs. How will you eventually deal with presbyopia? Is up-front money a factor? Continuous wear contact lenses are less expensive in the short term, but LASIK may be less expensive in the long term. Orthokeratology (or "ortho-k"). Like LASIK and continuous wear contact lenses, ortho-k frees you from daytime contact lens use, though you must wear specially designed gas permeable contact lenses at night when sleeping. One-day disposable contact lenses. Though these disposable contact lenses are meant for daily wear only, they offer the advantage of eliminating daily lens cleaning and disinfection. At the start of your day, you put on a new pair of lenses; at the end of the day, you simply remove and discard them. Expect to pay $20 to $30 per box of 30 one-day disposable contacts (although ordering an annual supply, with discounts and rebates that are often available, can reduce the wearing cost for both eyes to about a dollar a day). Though the annual cost of daily disposable contact lenses is more expensive than 30-day continuous wear contacts, wearing daily disposable lenses appears to reduce the risk of eye infections, compared with overnight wear of 30-day lenses. Also, some contact lens wearers cannot tolerate overnight wear of 30-day lenses because their eyes are too dry. For these people, one-day disposable contact lenses that are removed and discarded before sleep are a better option. Another option may be daily or part-time wear of special contact lenses for dry eyes. For more in-depth information, read our articles on extended wear contacts and laser eye surgery. LASIK world literature review: quality of life and patient satisfaction. Ophthalmology. April 2009.